The United States' current financial conditions notwithstanding, climate change remains at the forefront of our national policy agenda. Congress has already considered comprehensive climate legislation in the recent past; during the 110th Congress, three climate change bills were considered in the U.S. Senate: the Bingaman-Specter bill (S. 1766), the Lieberman-Warner bill (S. 2191), and the Manager's Amendment to the Lieberman-Warner bill (S. 3036). In the midst of partisan disagreements and the urgency of the U.S. economic crisis, the Senate was unable to pass a climate change bill during the 110th Congress. 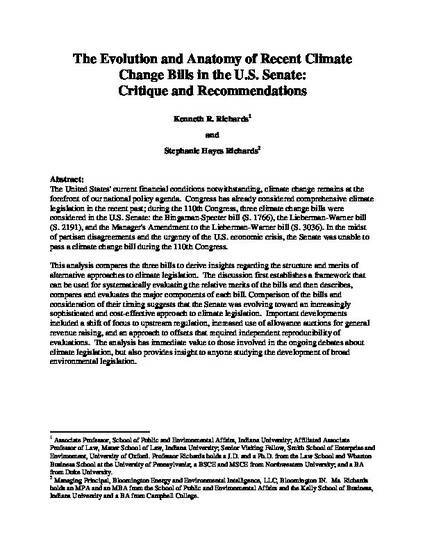 This analysis compares the three bills to derive insights regarding the structure and merits of alternative approaches to climate legislation.  The discussion first establishes a framework that can be used for systematically evaluating the relative merits of the bills and then describes, compares and evaluates the major components of each bill. Comparison of the bills and consideration of their timing suggests that the Senate was evolving toward an increasingly sophisticated and cost-effective approach to climate legislation. Important developments included a shift of focus to upstream regulation, increased use of allowance auctions for general revenue raising, and an approach to offsets that required independent reproducibility of evaluations. The analysis has immediate value to those involved in the ongoing debates about climate legislation, but also provides insight to anyone studying the development of broad environmental legislation.